WASHINGTON — When Republicans take over this week, they will do something that apparently has never been done before in the 221-year history of the House of Representatives. And then they will require that every new bill contain a statement by the legislator who wrote it citing the constitutional authority to enact the proposed law. The changes are on a long list of new rules Republicans will institute in the House when they assume the majority on Jan. 5. 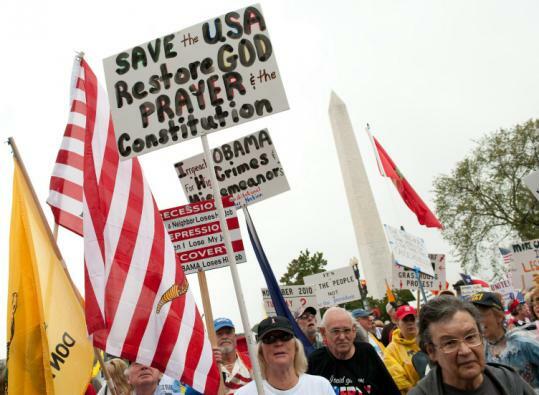 After handing out pocket Constitutions at rallies, after studying the document article by article and demanding that Washington return to its founding principles, Tea Party activists have something new to applaud. A pillar of their grass-roots movement will become a staple in the bureaucracy that governs Congress. But the question being debated in legal and political circles is whether the constitutional rules are simply symbolic flourishes to satisfy an emboldened and watchful conservative base. “I think it’s entirely cosmetic,’’ said Kevin Gutzman, a history professor at Western Connecticut State University who said he is a conservative libertarian and sympathizes with the Tea Party movement. The reading of the Constitution will occur Thursday, one day after the swearing-in of speaker-designate John Boehner, Republican of Ohio. The 4,543-word document, including all 27 amendments, could be read aloud in just 30 minutes. But the exercise probably will last longer. The moment seems designed for maximum effect. Many lawmakers will participate, with one representative reading a portion of the document before yielding the floor to another representative to continue reading and so forth. Boehner spokesman Brendan Buck said Democratic lawmakers are welcome to participate if they wish. The House Historian’s Office found no record of the Constitution having been read aloud on the House floor. Lawmakers have twice submitted the text into the Congressional Record. The historic nature of the reading surprised some Tea Party leaders. Amar argues that the Constitution charters a “very broad federal power’’ and is not the narrow state’s rights document that Tea Party activists present it as. The constitutional authority rule will restart this debate with each new bill. Every piece of legislation now will require a statement from its sponsor outlining where in the Constitution Congress is empowered to enact such a law. This is such a big change to the daily routine on Capitol Hill that Republican leaders distributed a five-page memo to lawmakers outlining how to determine a bill’s constitutional authority. They also hosted training sessions for legislative aides. Interpretations of the Constitution can vary widely. The ultimate deciders will be the lawmakers themselves, who can vote down any measure they believe to be unconstitutional.